Speechie Freebies: January organization-organizing your products! 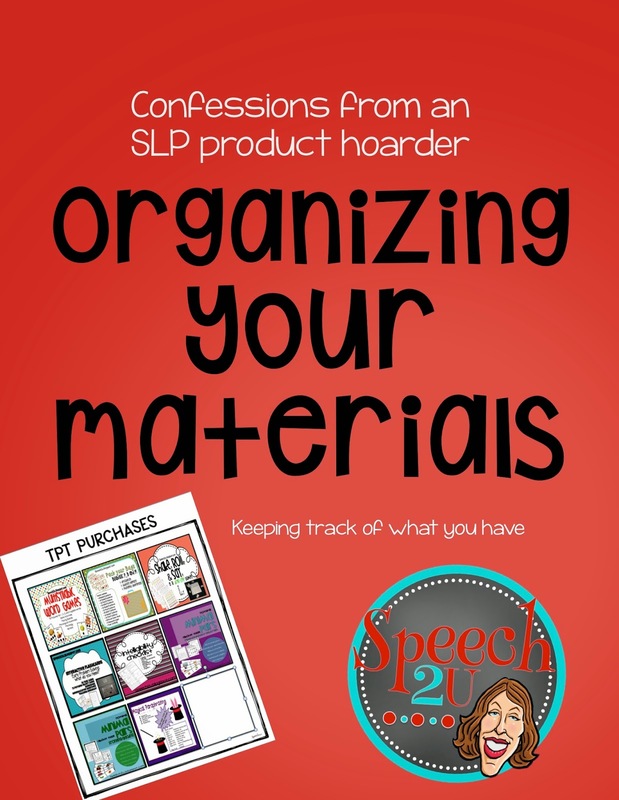 If you are like me, you might be a little bit of a an SLP hoarder. There are so many great products-especially the awesome products on Speechie Freebies. Sometimes it's hard to keep track of what you have purchased. If you have PowerPoint, I have a great new way for organizing your materials. Head on over to my blog to see how I use it!